HomeAbout UsThe BoatServicesPricing2018 Gallery2017 GalleryFrequently Asked QuestionsContactDiscounts! Helping you catch the fish of your dreams is our number one goal, but we also strive to provide you with a pleasurable fishing experience that allows you to embrace all that the Alaskan outdoors has to offer. A typical fishing trip leaves the docks in Seward around 6:30am and returns late-afternoon. As you head out the captain and deckhand will answer any last minute questions you may have and prepare you for the day. Keep your cameras handy as you will be cruising through the Kenai Fjords National Park to some of the richest fishing waters in the world with abundant wildlife both on land and at sea . 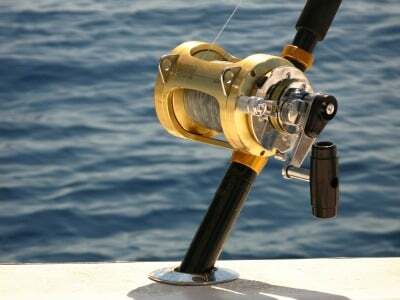 Once anchored, Alaska Dream Charters staff will provide as little or as much guidance as you would like, and will be happy to fillet any fish once back to port. Upon completion of your trip, you will be provided your filleted fish ready to be carried off the boat and you will be emailed any pictures taken by Alaska Dream Charters during your adventure. Our Sightseeing / Photography / Eco-tours venture deep into the heart of the Kenai Fjords National Park and give you the opportunity to see some of Alaska's best kept secrets. During the Spring, it is quite possible to see the Grey Whales making their annual migration to the arctic. And the Summer brings Orcas (Killer Whales) and Humback Whales. 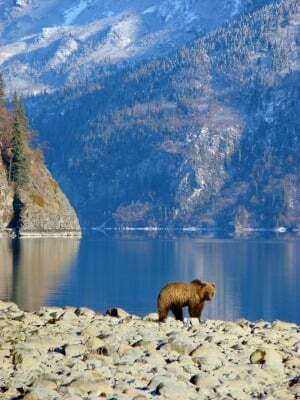 Bears occasionally can be seen along the shore and there is a VERY GOOD chance you will see Otters, Steller Sea Lions, Seals, Puffins, Bald and Golden Eagles. While we cannot guarantee the wildlife, we can guarantee some of the most beautiful scenery in the world, with the added possibility to see calving glaciers! If you are in need of lodging while in Seward, we have you covered. We work together with Camelot Cottages to provide guests a warm and dry place to stay while enjoying their Alaskan adventure. Offering quality accommodations, these quaint cottages can sleep anywhere from 1-8 people, have private bathrooms, kitchenettes, grills and access to large outdoor fire-pits for those cool Alaskan nights. Wildlife including moose, bears, eagles and other Alaskan critters frequent the property to make your stay that much more authentic. 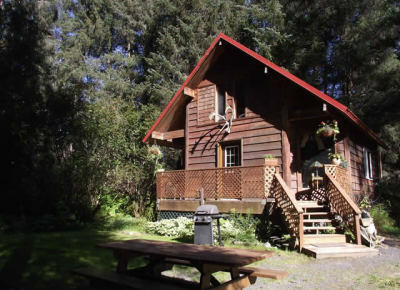 Camelot Cottages offers the perfect environment for not only family getaways, but boys and girls trips, weddings and any other event that is enhanced by this one-of-a-kind Alaskan escape. Contact us to discuss your options and pricing.